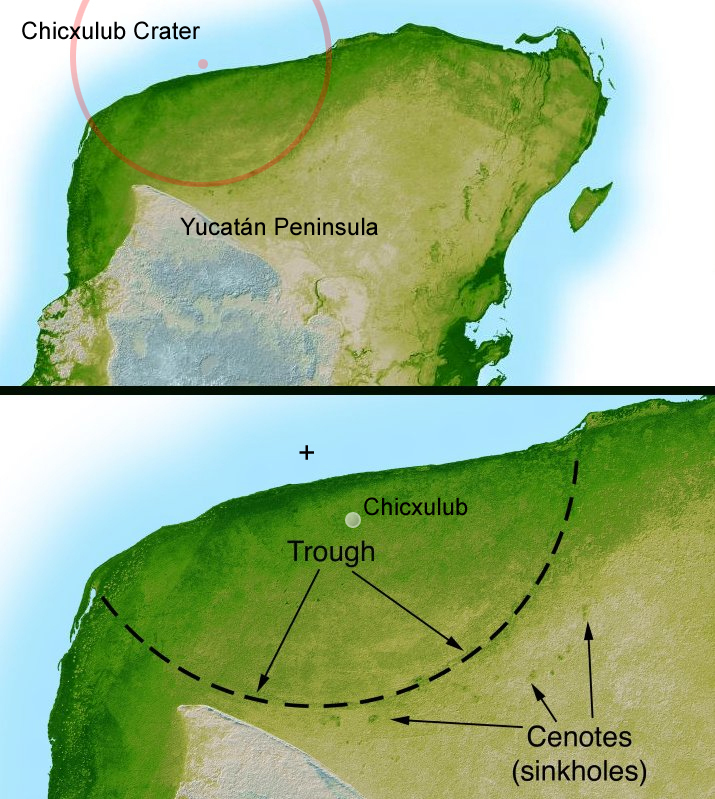 Sixty-five million years ago, a meteorite crashed into Earth, leaving a huge crater on the coast of the Yucatan Peninsula. The impact is likely responsible for killing off the most of the dinosaurs, along with 75 per cent of all species on Earth. Scientists are now planning an expedition to drill into the middle of the crater. What look so long? This is, after all, possibly the most infamous meteorite impact of all time. But the Chicxulub crater’s centre is also inaccessible, buried under ocean waters and now thousands of feet of sediment. Last week, scientists gathered in Merida, Mexico to discuss an expedition that will get to the bottom of it. 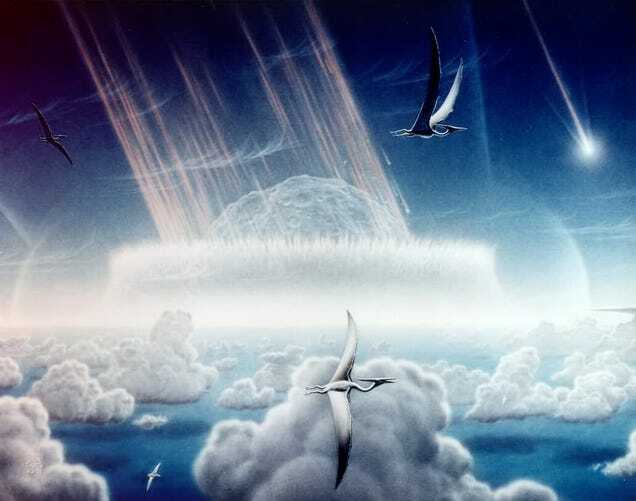 An artist’s impression of the Chicxulub asteroid. Painting by Donald E. Davis. The expedition, led by scientists at the University of Texas at Austin and Imperial College London, will sample the crater’s “peak ring”, or the elevated rock that circle the Chicxulub’s centre. Since the crater is in the middle of the ocean, the team will have to drill from an offshore platform. They will then take a core sample stretching to 5,000 feet below the seabed to extract back the first core sample ever of the crater centre’s rock layer. The entire core, stretching back 65 million years, will also tell the tale of how marine life recovered from the catastrophic impact. Should all go according to the plan, the team will set sail in spring of 2016, finally probing the crater that has long eluded scientists peering into it.